It was a freezing New York spring night. A rare night without a restaurant reservation on my ~super busy~ social work calendar, I decided I wanted to cook. With like, ingredients. Inspired by leftovers I picked out of the fridge when I was babysitting a few weeks ago, I wanted to make some type of chicken stew thing, particularly to use my new tagine by Andrew Zimmern (thank you, sir). At the grocery store, I picked out a pound of all-natural chicken legs -- having bought a pound of ground beef a few weeks back I thought this would be a lot of meat, turns out with the bone, it's not (more on that later) -- sweet potatoes, whole beets, organic chicken broth, frozen chopped spinach and parsley. Without a recipe, I set to work. Since I moved into a place without a kitchen/living room but actually a kitchen and a living room, I'd been eager to take advantage of all the counter space -- this was my chance! I removed the chicken from the foil-lined paper packet and realized I wasn't quite sure what to do. 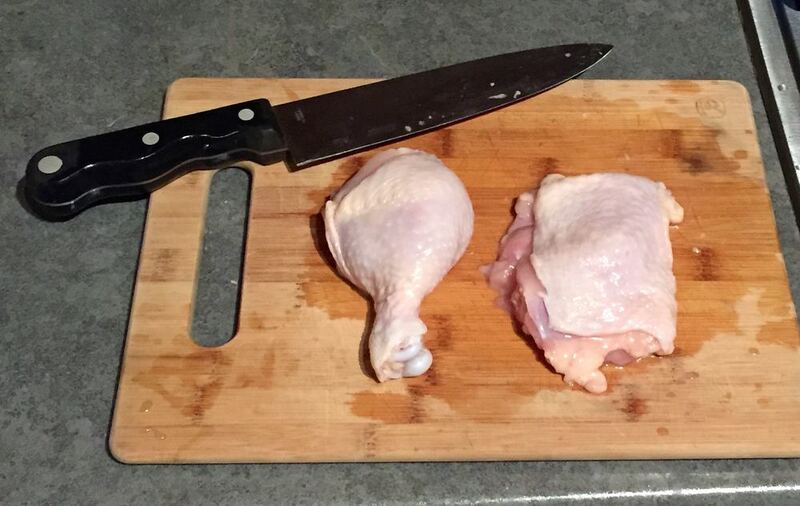 After years of vegetarianism and even later years of working in food, I had never actually prepared raw chicken by myself. Did I wash it? Cut it up? Soak it in something? Call my mommy? Momma Google instructed me to wash off the bloody parts (yum!) and sever the thigh bone from the leg bone, if I desired. I did. I used my biggest knife and squirted raw chicken juice on my sweater. Ew. I tried pulling the two pieces apart with my super strong hands, ala wishbone. No luck. 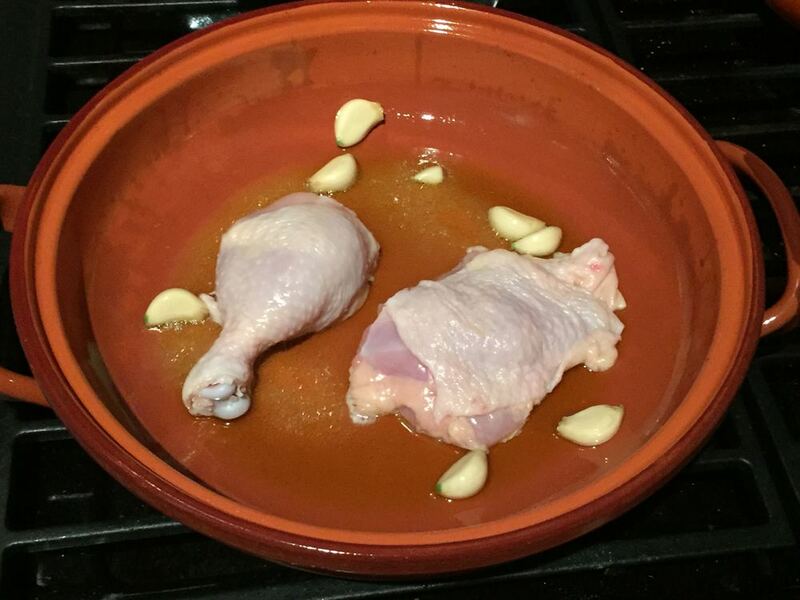 Several minutes of frustrated hacking later, I threw the chicken into the tagine, into which I had already browned garlic in olive oil and hoped for the best. I left the skin on, for optimal flavor and pushed the chicken around a bit as it sizzled. Every utensil that touched the raw meat was immediately rinsed and put in the dishwasher, because all I know is that raw chicken is dangerous. This was easy! I was cooking chicken! I poured the chicken broth over the two chicken legs (yep, that was the whole pound) and some leftover red wine for good measure. I skinned and chopped the sweet potatoes into small cubes and added them in as well. I tossed in two chili peppers that had been in my freezer since the fall, parsley and some frozen spinach and turned down the heat to let my master creation simmer. Now for the beets. I remembered my grandma force-feeding me a beet some months ago, wiping off the skin with a paper towel after removing a fork-poked beet from the oven. I rubbed olive oil on my beets and put them in the oven at 300 degrees. An hour or so later, they were done! In the meantime, I decided the best way to serve my maybe delicious chicken tagine creation was over Israeli couscous. I browned a bag of pearl couscous, only burning it slightly and cooked it in a combination of stock from the simmering chicken and water, with a hint of cayenne pepper for an extra kick. Somehow, everything came together. I de-boned the chicken and threw it back into the stew-like concoction. Peeled and diced the beets. 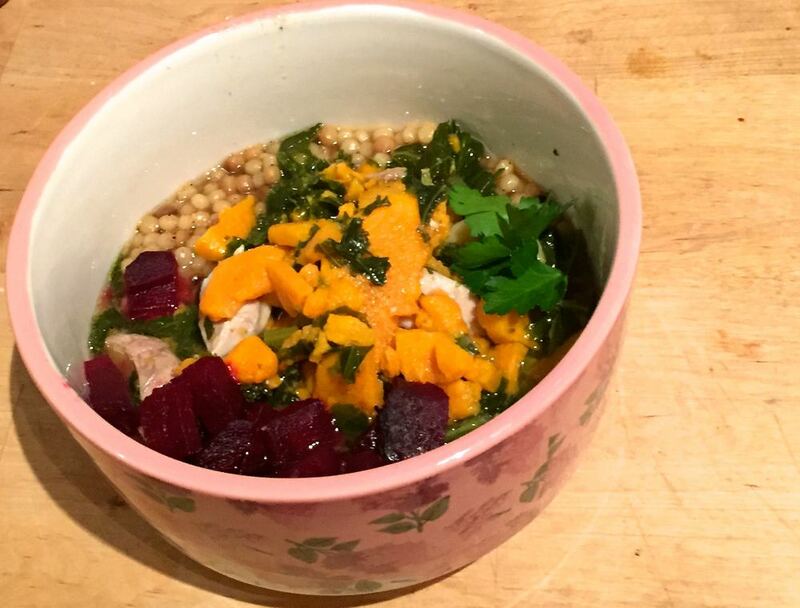 I put the couscous in a bowl and topped it with the chicken broth, meat and sweet potatoes and a handful of beets. Garnished with parsley, it was actually delicious. I impressed myself. And that's why I'm bragging on the Internet. I don't have a recipe for chicken tagine ala Issa, and while I could make one up, I recommend all the ingredients I used, seasoning to taste and seeing what you come up with. Good luck with all the chicken!